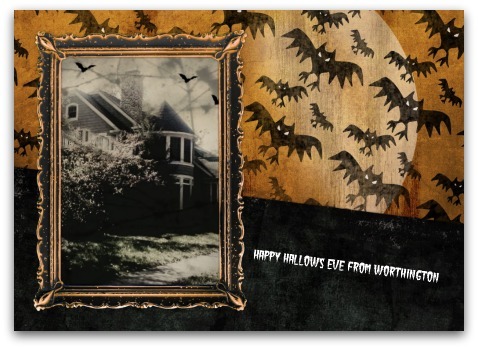 In 2010 Worthington was one of two Franklin County communities that did NOT Trick-or-Treat Thursday, October 28,2010 as prescribed by MORPC. Worthington and Grandview Heights and some Southern Delaware County communities had Trick-or-Treat on Sunday, October 31, 2010 on Halloween. Imagine that? Beggar’s Night was a tradition in Central Ohio long ago because of a big downtown Halloween Party. A few years back when “Trick-or-Treat” and Halloween were the same day, traditionalists rejoiced. What is Worthington if not traditional? Zillow did an index of the BEST neighborhoods to Trick-or-Treat for some US cities, Atlanta, San Diego, Los Angeles, for Halloween 2010 . Zillow did not do Columbus Ohio, but if Zillow did I would think some Worthington neighborhoods would rank high for Best Neighborhoods for “Trick-or-Treat” in the Columbus area. What are the BEST Worthington neighborhoods for Trick-or-Treat? Is Zillow better at predicting ‘Trick-or-Treat” loot than they are with home values? How do they do it? 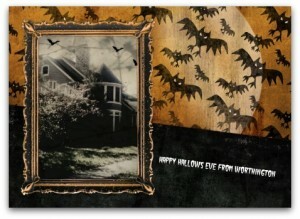 Best Worthington neighborhoods for ‘Trick-or-Treat” based on Zillow + Walk Score + crime data. I am unfamiliar with Relocation Essentials. The online resource for crime data I am familiar with has only City of Columbus data, none of the suburbs, no Worthington data. Or did not have anything other than Columbus data, the last time I looked. BEST Worthington neighborhoods for Trick-or-Treat? Perhaps a stab in the dark based on knowing the Worthington neighborhoods? Which Worthington neighborhoods are the BEST for Trick-or-Treat? Old Worthington because surely some of those old houses have got to be haunted? Haunted has to add to the ambiance but do they give good treats? Worthington Estates because it seems like lots of kids live there? Medick Estates? They can afford good candy but those lots are huge, probably does not get as good a “Walk Score” as some Worthington neighborhoods. Colonial Hills back in the 50s and 60s Colonial Hills would have been the neighborhood to live in for Trick-or-Treat. Maybe even back in the beginning in the 1940s. Families, friendly (the sign says so), small lots get a lotta Halloween loot quick. A lot but not all of this was previously published on Worthington Old and News – Worthington real estate in 2010. Recycling is good.